Growing up I was a big hockey card collector. 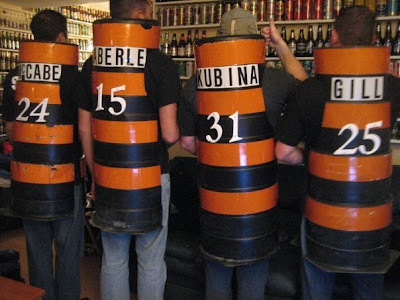 My Dad still reminds me of all the money he spent on cards, box sets and those plastic covers for your favourite rookie cards. I had 5 of these Pavel Bure rookie cards and still have them somewhere under my bed collecting dust. I can remember thinking the card was so cool because he wasn’t playing hockey. He was just a normal guy (with big leg muscles) chilling on rollerblades probably trying to pick up chicks at the beach. 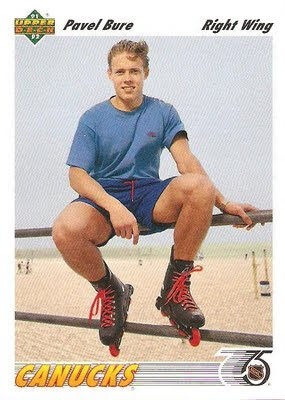 Strangely enough, this wasn't the only time Bure had a hockey card of him on rollerblades. It appears as if the photographer couldn't get enough Bure for this photo shoot as brother Val makes an appearance for this one (notice the plastic gym hockey sticks). The NHL Be-A-Player series also used Bure on blades. Pavel Bure is one of my all time favourite snipers. I can remember when the Leafs played the Canucks in the playoffs back in 1994 and being so scared everytime Bure picked up the puck and took off. His lighting quick acceleration made many defensemen in the league look like pylons out on the ice. The Russian Rocket put up some amazing numbers and it makes you wonder how many goals he would have had scored if knee injuries didn’t slow him down and eventually end his career at the age of 34. Bure scored 437 goals in only 702 games, not bad for a 6th round pick going 113th overall in the 1989 NHL entry draft. Bure is best remembered for his flash on the ice, but he also lived very flashy off the ice (remember the rollerblades!). Bure dated tennis star Anna Kournikova and allegedly almost married her. Another rumour is that Bure started seeing Kournikova while she dated Sergei Fedorov. I wonder if this race had anything to do with it. Bure scored many amazing goals, many in the same game, but here is one of his greatest goals and one of our personal favourites. 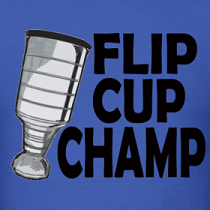 I can remember seeing this and trying to practice it at the shinny rink and finally being able to do it eventually, but 10 times slower. Love Jim Hughson's "that's a practice goal". Wasn't he in the Russian Mob? How much is that card worth? I still have it. Imagine how good Bure would be in today's NHL? Love the retro pics. The Bure's rollerblades are so crappy thats when nike/bauer, mission CCM werent in the hockey blades industry. I miss Pasha, if he didn't withhold his services in a Stanley Cup run for more money he would have his jersey retired by the Canucks. Will he be one of the Rings of Honour recipients this year to celebrate 40 years? There will never be another Russian Rocket. Dirty Dangle like no other. According to a very young cute girl I met from St. Petersburg he is doing very well, he has his own stores/brand in Russia and is a hockey God.